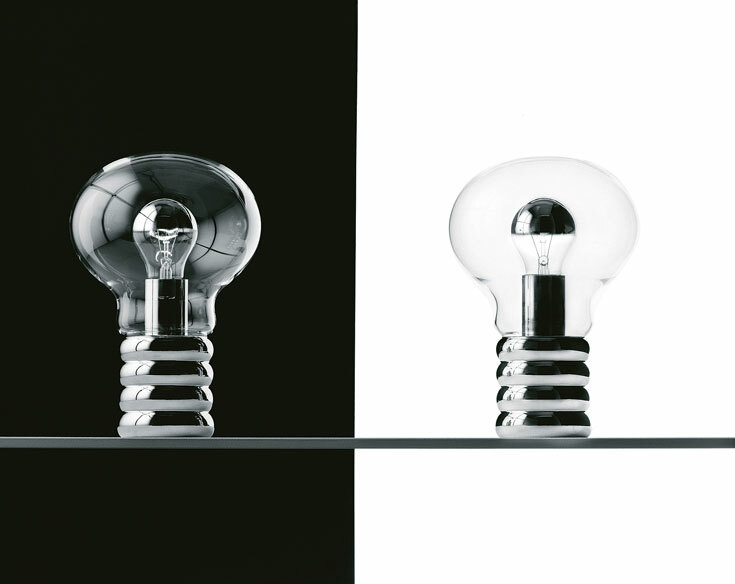 The Bulb lamp was designed by Ingo Maurer in 1966 and celebrates Thomas Edison and the incandescent bulb. Bulb’s outer envelope is handmade glass which houses a crown-silvered 100W bulb. It is held on a chrome-plated base.